This is Anderson: Make Anderson History! Kate Willams, UNM Anderson's Career Development Facilitator, is making history by showing off her #MakeHistoryASM temporary tattoo. Let us know how you are making history at the Anderson School. Tell your story at #MakeHistoryASM on Facebook, Twitter, and Instagram. 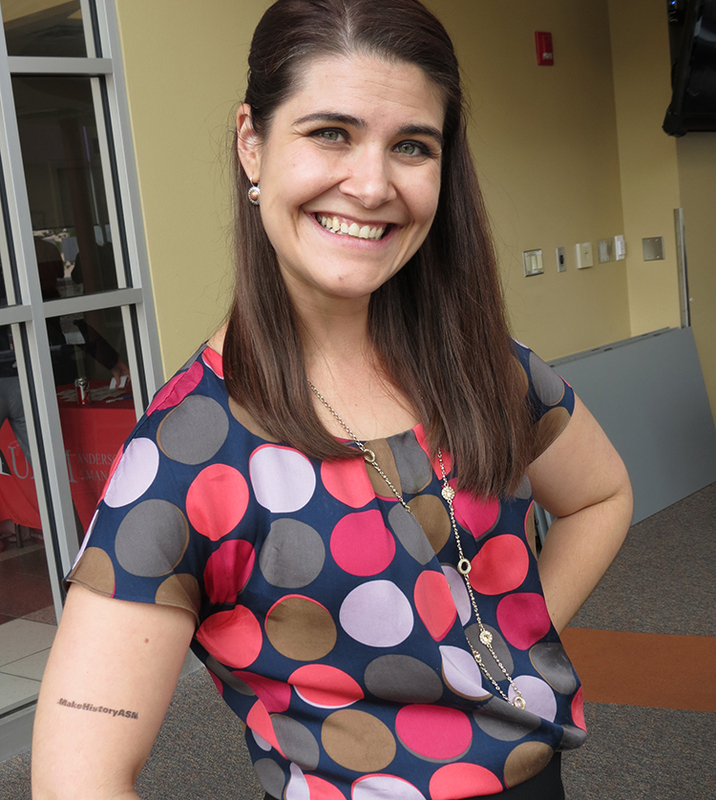 or Career Services Manager Natalie Mead at nmead60@unm.edu. Digital Innovation - RSVP today! A Taste of Anderson - A Tasty Success!